At this year's Mobile World Congress in Barcelona, HTC has unveiled its newest flagship handset, like the leaks suggested, the 2015 HTC One M9 looks very similar to last years HTC One M8. While the design has remained the same, the specs have been beefed up. This One gets a Snapdragon 810 octa-core processor paired with 3GB of RAM. It's powered with a 2840mAh battery which should keep you going for a while and 32GB of on-board storage with the ability of adding up to 128GB of external memory though a microSD card. The front facing BoomSound speakers are still there but this time with Dolby Audio tuning for even better audio. You get the same 5" 1080p IPS display that was found on the previous One M8 which was not a bad screen at all, although not as great as OLED screens used by other competitors. Early reviews have hinted at colours looking cooler on the M9 when compared to the M8. 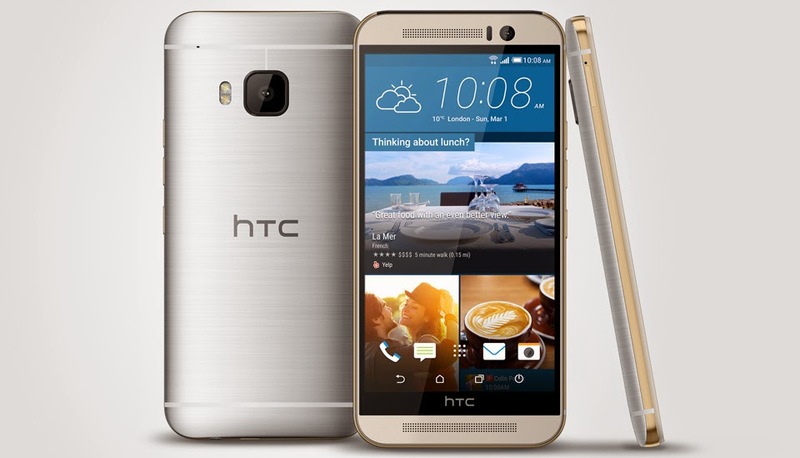 The phone ships with Android 5.0 Lollipop with HTC's Sense 7 on top of that. The phone will still come in gunmetal grey and silver but will also be joined with a two-tone gold and silver version. Gone is the 5MP UltraPixel camera and instead the One M9 sports a larger 20MP shooter. The second lens for depth of field is gone as well and the low light performance will be hindered with the removal of the UltraPixel camera. UltraPixel hasn't been removed completely though, instead it has been moved to the front of the camera, making a great low light 5MP UltraPixel front facing camera for "Selfies". Looks like the HTC One has got a well needed camera upgrade as well as beefed up spec to keep up with competitors for 2015. The One M9 is a great incremental upgrade to it's predecessors, especially if you found that the 5MP camera was lacking in quality. Early reviews do mention some issues with low light performance but HTC is ensuring a software update to address these issues.